Families share a special relationship. For Ali and her mom Bette-Sue their relationship has been triumphs of weight-loss and struggles with weight gain. But the support and admiration Ali and her family have of one another has been unwavering. Ali along with her mom Bette-Sue and sisters Amber and Holly all live in different parts of the U.S. but their bond couldn't be closer. "Amber's amazing for me. I actually, one of the reasons I moved to Spokane, Washington recently was to be closer to her," says Ali. "I missed having my sister and I think that for a long time in my life, it was me and Amber, you know, no matter what it was me and Amber." "I want to be like my sister, like I literally want to be like my sister," says Amber. "And Holly, she just balances me, she calms me down," says Ali. "She's helped support me, you know, she helps keep me on track." "I surround myself with people that help balance me and I think that my sisters in particular help balance me and my mom helps balance me and I think that that's what I want to try to help people see." Ali says. "It's like you got to figure out who you need in your life and who supports you because we all need it." "You share your happiness and your successes with me and I feel so validated," says Bette-Sue. 'I'm so glad you live big, you know, because in that live bigness there's room for lots of people." "This whole journey that my mom and I have done together from starting four years ago, I think that that's where we started our breakthrough," says Ali. "We continue to grow and learn together." "I know there is not anything that my mom won't do for me," says Ali. "and I love you." "I'm always going to be here, always. I'm the safest place to go and you know I, I'm not going to quit you ever," says Bette Sue. 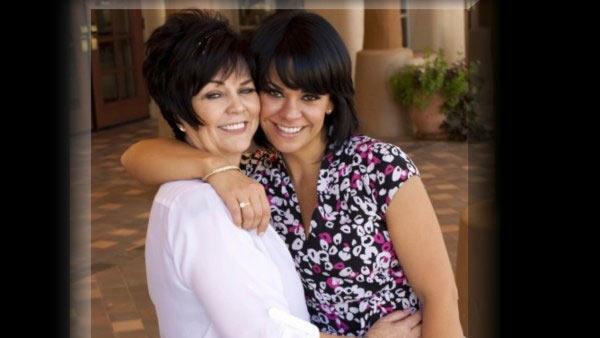 When Ali Vincent won the Biggest Loser she got a new life, and she forged a new bond with her mom, Bette-Sue. Today, the two are the best of friends and they continue to support and encourage each other. Ali Vincent knows what it's like to feel on top of the world and what it feels like to hit rock bottom. Her journey to success was not easy, but she had the love and support of her family pushing her through. Ali takes fitness and health very seriously. Since dropping almost half of her body weight, Ali's been living the big life and she tries to get all her friends and family to do the same.